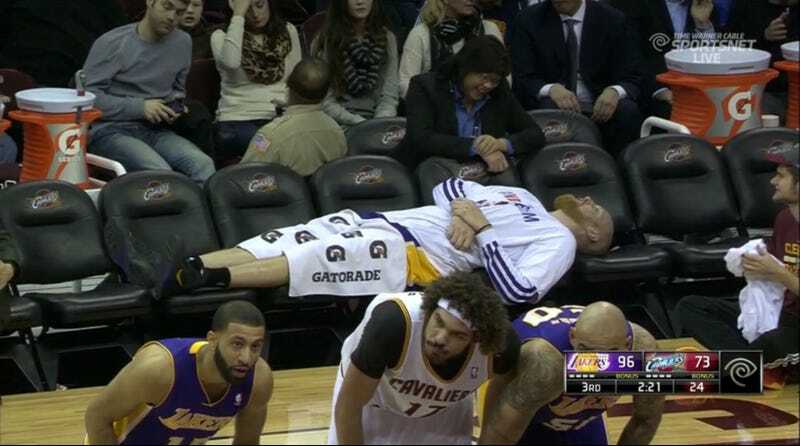 Empty seats on the bench mean that Chris Kaman gets to lie down for a second during the Lakers-Cavs game. He fouled out after 14 minutes of action. The bench-couch looks comfortable, honestly.